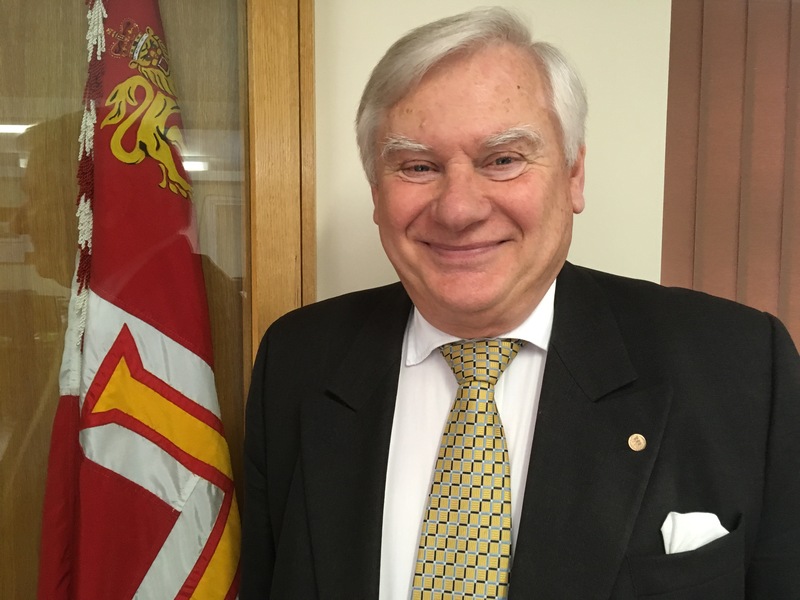 Jurat David Hodgetts LVO has been appointed as the new Chairman of St John Guernsey. Jurat Hodgetts who has a long association with St John in the island will provide leadership and support for the voluntary sections of the organisation. The new Chairman is also keen to promote the adult sections of St John. He added “We will also be looking to develop opportunities for adult members, as first aiders, Community First Responders and youth leaders”. Jurat Hodgetts says he knows people whose lives have been saved by the intervention of volunteer Community First Responders. “I want to continue to work alongside the St John Emergency Ambulance Service to maintain and grow what is already an excellent scheme, with trained members of our community providing a life-saving service for the community”. The appointment of Jurat Hodgetts as Chairman of St John Guernsey rekindles a long relationship dating back to the 1960s. He first got involved with the then St John Ambulance Brigade as a volunteer when he was just sixteen-years-old. He recalls working alongside founder member Reg Blanchford on emergency ambulance calls. He also responded to incidents with the Cliff Rescue Team and on the Flying Christine. On his return to Guernsey after working away from the island, he was appointed President of the Guernsey Ambulance Division, a position he held during the 1980s and 90s. David Hodgetts is a Jurat of the Royal Court and a former Secretary and ADC to the Lieutenant Governor of Guernsey. He has a long pedigree of work with charitable organisations locally and abroad, and was responsible for the £1million pound appeal for the Maison de Quetteville care home. He has been the Provincial Grand Master of the Guernsey Masons since 2008 and is soon to retire from that role. Previously he had careers in the military and in farming.